Are you headed out onto the open road? 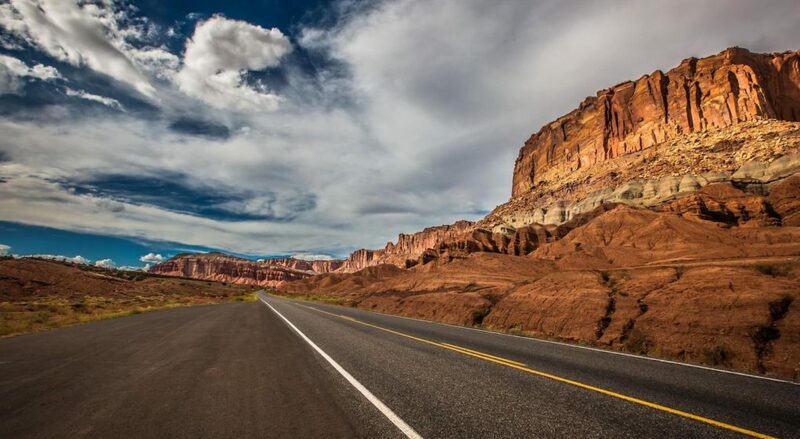 A road trip is an American tradition, and crossing state lines in your first car is a passage of right every youth has to undertake at some point after getting their driver’s license. Whether you’re headed to Disney World with the family or going down to Florida on Spring Break, a road trip is an exciting experience for everyone. The feeling on the road as you punch the gas on the open highway is a real thrill. Stopping for gas and food is always entertaining, and making a long haul across the country means that you’ll be booking into a few motels along the way. Before you slip behind the wheel and fire up the engine, read through this list of 5 must-have items for your next road trip. A short out of state road trip to visit grandma may not take much effort. However, if you’re thinking about driving across the country, say from New Jersey to California, then your trip will take some planning. For those road trippers on long journeys, its best to secure your accommodation before you leave. Pull up your map app and look for motels along your route. Book a few days in advance to ensure you have a bed when you arrive. There’s nothing worse than having to sleep in the car because the motel has no vacancies. Bring a copy of your itinerary along with you, and store it on your phone. Sync it to your maps to get alerts when you're reaching your next rest stop for the day. Any road trip needs an awesome playlist. Music on the road keeps your mind focused on the interstate. Bring along a playlist that features tracks everyone in the car will enjoy. Only catering to your tastes will bore the rest of your friends and family, and you want this to be a bonding experience right? Tell all of your friends to make playlists for the trip, and if you have some change left over from your tax return – why not update the cars stereo system? Some new speakers and an amplifier will let you cruise down the highway singing along to your favorite tracks. Cellphone chargers and power banks are essential gear critical gear you need on your road trip. If your phone dies, you’ll lose your itinerary and your playlist. Keeping a charged power bank on hand solves any low battery situations. When you wake up at first light, ready to hit the road, a travel coffee mug can save you precious minutes. Instead of hanging around the motel room waiting for everyone to finish their morning coffee, take it on the road with you instead. A good travel coffee mug will come with insulated casing to keep your coffee warm, even on the coldest mornings. The non-drip or spill lid ensures that if you have to stop suddenly, your scalding hot coffee doesn’t end up in your lap. We recommend getting an insulated ceramic travel coffee mug, as they’re inexpensive and a must-have item for your road trip. Where did you put that cellphone charger? The chances are if you can’t find it, you either left it in the motel room, or it’s under the seat right now. Stopping to look under the seat for chargers, ID cards, driver’s licenses or other loose equipment is a pain that cost you valuable time. An all-purpose carry case allows you to store items out of the way during your trip, and you’ll know exactly where everything is at all times. Part of what makes every road trip great is the sense of adventure and uncertainty for what lies ahead as you speed along the interstate. While the chances are that nothing notable will happen on your travels, its best to prepare for anything. Always remember to pack an emergency kit with pillows, blankets, and snacks. If you do end up breaking down on the side of the road or missing your motel booking, you’ll have something to keep you warm while you sleep in the car. Before you hit the road, remember to stop at the gas station and check the pressure in your spare tire. The last thing you want is to get a flat on the road in the middle of nowhere, only to discover your spare has no air. While this might fit into emergency supplies, its importance is worth highlighting: Don't forget a first aid kit. Should anything go wrong on your trip, it’s a prudent strategy to have a first aid kit on hand. Pack some antiseptic ointment, some Band-Aids, and gauze. It's always best to hope for the best but plan for the worts, especially when you might find yourself in very isolated locales.